This past Wednesday I observed passion’s gift in an unexpected, simple exchange. I stood a pace or two away from my daughter’s booth at her school’s Mentor Night, an evening program featuring 4th and 5th grade student projects. Home spun mentor-inspired creations adorned every corner of the gymnasium. Interior design. Architecture. Knitting. Cake decorating. Pottery. Each child was given a simple task – to explore an interest. My daughter’s love? Math. Some kids like soccer. Others reading. Still others origami. I honestly held my breadth as I watched. I hoped beyond hope that she’d miss the kids who might ridicule her interest. A snicker or comment that might diminish her effervescence. Her bubbly enthusiasm. So far – at ten – she’s ignored comments that challenge her notion of math’s awesome merits. I willed – from every pore of my being – that she could defer hearing messages to the contrary for one more evening. Not this evening. Not mentor night. Her poster was 48″ x 36″. Hot pink. 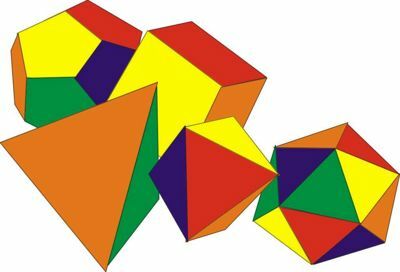 ‘The Math of 3D Polyhedra,’ emblazoned across the top. Her mentor was a young female PhD student from Texas. Her mentor’s focus? Applied geometry. I remember one day at my transition’s outset feeling as if I was free-falling. The fall was triggered by an article in our local paper, The Boston Globe, featuring two childhood family friends who had a top rated restaurant in town. Sadness enveloped me. The article was glowing. They’d done many things well. They deserved the wonderful attention directed at them. My internal talk track was rough. How had I made such mistakes? There was nothing I could or would be doing that merited conversation. Let alone recognition. What a failure I was. How could I have gotten myself in this predicament? About 1 year after that day I began the real work of re-imaging my identity. It wasn’t something I knew that I needed to do at my transition’s outset. Once I began the identity work….more things happened. I began to trust my instincts. I dignified some long-held interests in women’s development. I reached out and beyond. I learned. I listened. My daughter barely registered the flow of people beyond her makeshift booth. She shared her enthusiasm with whomever stopped by. Her love gifted her with a sure-footed confidence. Convex. Concave. Platonic solids. It mattered not. Her passion created an impenetrable shield…her smile its ready beacon. Have you ever been buoyed by the confidence of your passions? Recently I read again a Globe article about my two friends’ restaurant. My reaction this time? A heartfelt smile. No self judgment. No jealousy. Only peace. Are you ready to take steps towards your passion? A simple gift awaits. 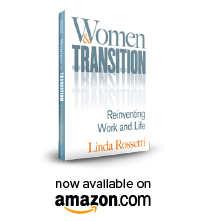 This entry was posted in Observations on Transition and tagged career transition, linda rossetti, novofemina, observations from a women's transition, personal transition, transition, women's transition issues. Bookmark the permalink.